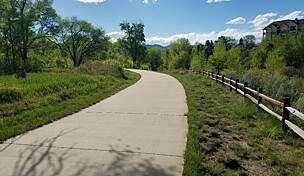 Two segments of the LaForet Trail are currently complete, offering 2 miles of pathway in northern Colorado Springs, just outside the United States Air Force Academy. 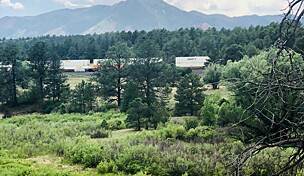 The western segment is a natural-surface trail beginning at the New Santa Fe Regional Trail, a 20-mile rail-trail offering views of the mountains, open grasslands and interesting geological landmarks. The LaForet Trail makes its way through open vistas to the footsteps of an office park on Middle Creek Parkway. 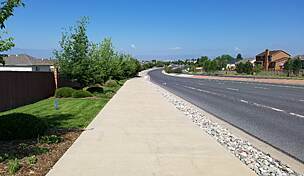 The eastern segment is paved and begins at Middle Creek Parkway near the Northgate Village Shopping Center. Here, you can stop for a cup of coffee or a bit to eat. 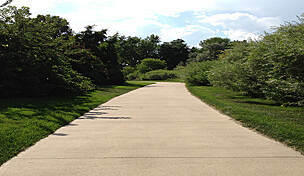 The trail continues through Mary Kyer Park, an 11-acre open space featuring a small pond, playground, athletic fields and even an in-line hockey rink. Adjacent to the park is the Da Vinci Academy for elementary school students. 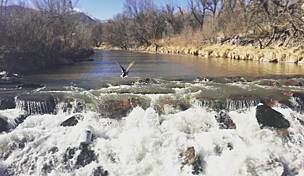 The trail meanders through a residential area and ends at Stone Falls Park, a nice place to end your journey with a waterfall, benches and picnic tables. 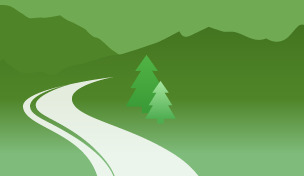 Parking for the LaForet Trail is available at Mary Kyer Park (1102 Middle Creek Parkway).